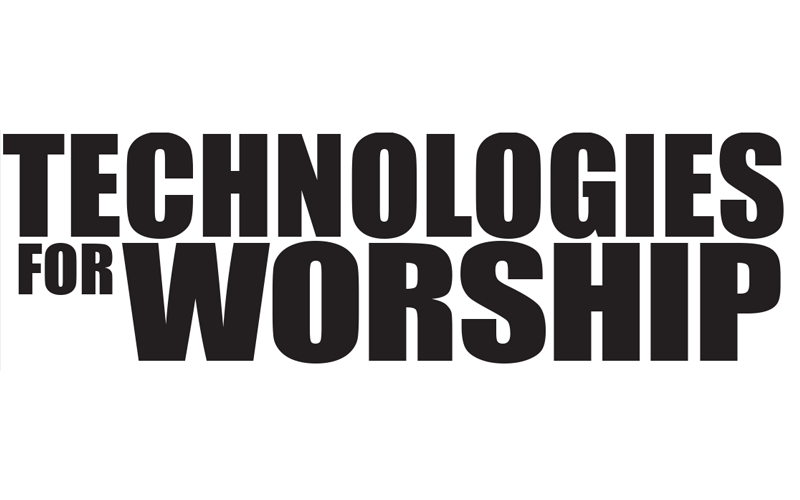 Many houses of worship now use contemporary music styles as a regular part of their worship services. The goal, of course, is to bring a rich and lively worship experience to the congregation and to communicate the Word in a positive and uplifting manner. Too often, however, the addition of contemporary music brings with it a series of frustrations and challenges, including higher volumes both on the stage and in the sanctuary. Instead of enriching the worship experience, the new music gets in the way, as volume rises and sound quality falls. 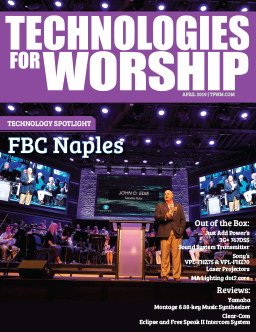 To tame the volumes, more and more worship teams are turning to personal monitors (headphones and in-ear monitors), replacing open-air floor wedges and their associated high volumes. However, many worship teams find the experience less than satisfying, and some even put the IEMs and headphones away and get the wedges back out. A personal monitor mixing system offers a solution to both problems: wedge based systems can run at lower volumes, and IEM and headphones users can get the mixes they need to make their personal monitors work effectively. Lowering the volume on stage is crucial to improving sound in the sanctuary. With on-stage volumes under control, the tech staff can mix for the congregation without first trying to mask all the sound pouring from the stage. The key, however, is to reduce on-stage volume while still providing the worship team with the pitch and timing references they need to play and sing well and to interact with one another and the congregation. Limiting volumes. The most obvious concern with musicians controlling monitor levels is that they’ll just keep turning things up louder and louder. The worst-case outcome is, of course, feedback. No engineer wants to be blamed for feedback, especially when there’s no way for him to control it. And lets not forget the potential for serious hearing damage from excessively loud monitors for everyone concerned—on stage and in the congregation. There are a few points to remember here. First, while musicians typically ask monitor engineers for “more guitar” or “more vocals” or “more something,” when they actually have control of the mix, they tend to choose lower volumes and to mix by subtraction. Secondly, the personal monitor system provides several ways for an engineer to place a ceiling on volumes. With properly set gains and master volumes, feedback can be reliably eliminated. A louder monitor isn’t a better monitor. When all else is equal, most musicians will choose to run their monitor mix at a lower volume than typically exists on stage. High quality monitoring is a matter of clarity and precision, not raw volume. This is especially true for personal monitors, such as headphones and IEMs, which are very sensitive to mix changes that would be nearly imperceptible in a wedge. Additionally, personal monitors benefit tremendously from monitoring in true stereo. While wedges can generally run in mono without a significant sacrifice in quality, a mono IEM or headphone mix is both disorienting and isolating. Thus, effective use of personal monitors requires not only more control but also more content: two carefully controlled mixes (left and right) for every user. The key, then, to reducing on-stage volumes and to making personal monitors effective is to provide greater precision and control in making monitor mixes. Traditionally, this has meant purchasing a large mixing console and hiring an engineer to run it. Even then, the results are often only modestly improved, as members of the worship team try to communicate adjustments they need while also participating in the service. The right kind of user-adjustable monitoring system, however, makes achieving consistent clarity a reality. Distributed control and customized mixes. A personal monitor mixing system gives musicians a way to make their own customized monitor mixes and to change them as often as they want, in whatever ways they want. In the Aviom system, for example, every performer’s mix is completely independent, so there is no need to compete or compromise because the guitarist and the bassist, for instance, need different things in their mixes. Modifying a mix is as simple as selecting a channel and turning the volume up or down or adjusting the pan left or right. Requests don’t have to be signaled to an engineer, so everyone in the worship team can have a unique and accurate monitor mix at all times. System architecture. Adding a personal monitoring system to an existing sound reinforcement system does not have to be complicated. Most mixing consoles have sufficient resources on board to accommodate the signal distribution requirements of a personal monitoring environment. Instead of trying to create the various monitor mixes to be sent to amps and speakers, the engineer’s job is to create the raw material for delivery to the performers. They will do the blend themselves according to personal requirements. Many of the components of personal monitoring systems are digital devices, using simple Cat-5 computer-style wiring instead of bulky analog cabling. Cat-5 cable is smaller and easier to install, and can be more cost effective especially when upgrading an existing sound system. The digital connectivity allows easy system expansion and distribution of content. A typical personal monitoring system consists of an input module which takes audio signals from the mixing console and delivers those signals in the digital domain to the personal mixing stations used by the performers. The source signals can come from any available outputs on the main or monitor mixing console, including the direct outputs, aux sends, busses or group outs. Configured for collaboration. Beyond that, however, a personal monitor mixing system is designed to allow engineers and performers to work together to produce perfect customized monitor mixes and an outstanding overall sonic picture. Where the actual content comes from, is still the job of the house engineer. The engineer will still need to create blends of drum and percussion instruments for the performers to use, for example. Performers should not be required to blend the ten or more mic signals typically required to mic up a drum kit. What they really want is “more drums”, or more “background vocals.” With a little bit of effort the overall quality of the mixes heard in the personal monitors can improve substantially, bringing a more studio-like sound to a stage performance because of the improvement in fidelity of the raw materials presented to the performers. Placing even more control at the console. There are some situations where personal monitor systems can be useful even when connected to traditional amp and speaker wedge combinations. Take, for example, a choir with 20 members. Giving each singer a personal monitoring station may be more costly than an audio budget can handle. But, better control over the content playing through wedge monitors carefully placed in front of the choir can allow those open-air speakers to be run at substantially lower volumes. For engineers concerned about feedback with amp and wedge speaker combination under the control of performers, there is a simple solution. By setting a maximum volume level, the engineer can guarantee that excessive volume will not cause feedback. A second method for adding control from the engineer’s position involves running audio outputs from the personal mixer station into the audio snake to control the signal’s maximum output level at front-of-house. 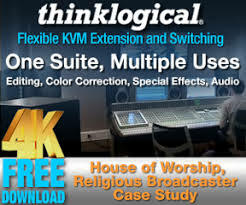 The engineers can still retain control over the monitor mixes by patching the audio outputs of the personal mixers back into the main console and assigning those channels to unused aux outputs (such as those which would be used for monitors in a traditional setup) and not into the front-of-house mix. These outputs are sent out to the amps and wedges. With this configuration, the engineer can control the level of a mix with a fader on the console and can add content to the mix with the console’s aux section controls. Performers can still customize their mixes, but the engineer sets the master level going to the amplifier. Getting the most out of your personal monitors. Personal monitors are an effective way to lower on-stage volumes, especially when used in conjunction with other techniques (such as replacing guitar and bass amps with amp modelers and acoustic drums with a good electronic kit). However, personal control over the mix is essential to making in-ears and headphones work for performers and sound their best. In addition, with monitor mixing shifted more to musicians, the tech staff is free to focus substantially more attention on the main front-of-house mix in the sanctuary. The result is more comfortable volumes, better audio fidelity, and an improved worship experience for everyone. Content written by Chandler Collison, Aviom’s business development manager, Bill McCutcheon, Aviom’s business development associate, and Ray Legnini, Aviom’s senior marketing product manager. Compiled by Ray Legnini and Michelle Bussani, a professional writer for a NY-based marketing firm specializing in the pro audio industry.